Evaluation for Custom Driver and Putter. Movement Assessment & Custom Exercise Program. Replace “old” driver I purchased this past March with the next, latest and greatest. Guaranteed to get ya 15 MORE yards! Guaranteed!! Early Christmas present: $2,500 lesson with Butch Harmon. Finally… this is the off-season that I will hit the gym before work, do some extra “core” exercises to help my swing speed, and stretch my hamstrings so my back doesn’t mess up my season… again. Don’t assume a new driver will make a lick of difference. I’m not saying it won’t, but buyer beware. I was talking with Jeff Goble, PGA Professional and club fitter at the Fox Hills Performance Center who said that while fitting a client this past week, NOTHING could out-perform the Taylor Made R7 that he came in with. You want a club fitter like Jeff, who isn’t going to get you into new clubs just because you think you need them. Ask Brandt Snedeker, whose’s career earnings are closing in on $28 million. This guy’s driver debuted in 2010 and can be purchased for twenty bucks. Oh ya, and Snedeker’s putter… it’s ten years old. I’m not saying that a fancy schmancy, $500 limited edition Scotty Cameron, isn’t the flat stick for you… it might be. Just don’t assume it is. When it comes to golf lessons, work with someone who can tailor a true game plan for you. To go low, you will probably need to talk more than just path, plane and posture. Chad Elledge is the best that I have worked with at implementing a true game plan you can apply on the course. Why? Because Chad spends most of the time with his players on the course and is able to accurately identify where they need help and then coach them toward their goals. Finally, lets make certain that you get through the winter without injuring yourself at the gym and ensure you don’t mistake your crunches, BOSU push-ups and kneeling on a exercise ball for productive exercise that will actually enhance core strength, dynamic speed and balance. Having a movement evaluation performed is the initial step and a critical component to identifying the weak links that are limiting your potential, in the gym and on the course. During this evaluation, one of the priorities is your ability to create dissociation (separation) between your hips and shoulders. The majority of amateur golfers that I evaluate for the first time, have below-average shoulder-hip dissociation. This can often lead to poor, compensatory movement patterns. Separation between our hips and shoulders is essential for efficient human locomotion and activities like throwing, kicking or striking/swinging. Specifically, shoulder-hip dissociation allows for the core to work authentically and reflexively without a single conscious thought like “tighten your abs”. Shoulder-hip dissociation also helps create enormous amounts of rotary speed and can allow for balance and stability to miraculously appear without a single minute spent standing, kneeling or sitting on a exercise ball. In a nutshell, poor separation often equals poor performance and injury. Spend a minute and just evaluate anything that you think is important to your health, livelihood or your golf game. Try to touch your toes, hit a few putts or even just walk heel-to-toe on a narrow curb like a little kid. Then, spend all of 5 minutes following the video below before re-testing what ever you did. What did you notice? Did your toe touch actually involve your hands reaching down past your knees? Were all of your putts significantly closer to the hole? Did you feel like Baryshnikov walking on that curb? It’s not uncommon that after I spend just a few minutes restoring shoulder-hip separation, then back-loading it with a few simple, yet challenging movements… posture, balance and stability will often just reappear. Lack of shoulder-hip separation is like wearing ear plugs during a conversation. Those ear plugs will probably make communication challenging and frustrating, especially if the conversation is rich with important details. If you’re lacking this separation, your core won’t hear much of what the environment is trying to say and compensations will ensue. These compensations can make the most simple daily tasks become painful or lead to the frustrations you experience during your golf lessons. Find a club fitter that you trust and has been around the block a few times. Find a coach. By coach I mean a true coach, just like any other team sport. Find a coach that will help you practice where you compete. Get a movement evaluation! Find a skilled movement specialist who will not just identify that you are lacking shoulder-hip dissociation, but why this compensation has become a significant part of your daily movement strategy. Lastly, don’t assume the exercise program that is changing your waistline is actually changing your core. If the aforementioned movement specialist is also a fitness/performance guru, discuss a comprehensive program to help you reach your goals. If he’s not the man for this job, ask him to get you to someone who is. With a bit of planning ahead and surrounding yourself with a team that communicates, you will ensure that your activity this off-season isn’t being mistaken for productivity. Dynamic Neuromuscular Stabilization (DNS) is based upon the scientific principles of developmental kinesiology i.e. the neurophysiological aspects of the maturing locomotor system. (Yeah, it’s a mouthful). In layman’s terms, it’s THE approach to physical rehabilitation that emulates the positions babies utilize in the first year of life to develop movement patterns that will serve them throughout their lifetime. These patterns are ingrained in our brains – you don’t teach a baby how to crawl. The goal is to utilize these positions and patterns to restore function to a dysfunctional movement pattern that may be limiting performance and causing pain. I have taken a number of these courses – A & B (out of D) and a few skills courses – but not until recently have things begun to click. I understood the principles and reasoning behind this scientific approach, which I argue to be the most “functional” form of movement, but applying the knowledge in the clinical setting is a beast of its own. This course was Golf specific with lots of Golf related research and topics of discussion. However, the exercise interventions presented tended to be more rotation oriented, which could be applied to any rotational sport e.g. lacrosse, baseball, tennis. The ability to create IAP to activate the deep spinal stabilizing system – the true “core” – is important because it critically influences quality of stabilization. What constitutes IAP and warrants it as a crucial function to establishing the “core” is depicted below, but is a topic for another conversation. Poor IAP disallows proper shoulder and hip stabilization, and its effects can be identified down the chain (i.e. elbow, wrist; knee, ankle). Using the upper extremity as the example and a lack thereof a better analogy, trying to stabilize a shoulder for efficient arm function without sufficient activation of the “core” is like a tree without roots attempting to stay upright – it just doesn’t happen. “A” is good, “B” is bad. Note the excessive back muscle development in figure B. What does this mean in regard to a sport like golf that seeks a large range of rotation for the swing? If you address the ball with a poor rounded or arched posture, you have eliminated your ability to create sufficient IAP, significantly limiting the amount of rotation you can safely generate. Trying to force that big swing? It will come at a cost of overloading particular muscles and joint, commonly the low back, elbows and knees, increasing your risk for pain and injury. We are taught in anatomy that the bicep, when shortened, flexes the elbow and shoulder – an open chain movement. However, its postural function is to guide the shoulder joint forward over a fixed elbow/forearm support in coordination with the triceps (think army crawl). Developmental kinesiology tells us that postural function is a prerequisite to reaching function. Much like the handle of a slingshot needs to be stabilized in order to pull back and load the sling, we as babies needed to be able to stabilize our bodies before we were able to reach and grasp. What does this mean in regard to sport and training? In order to improve the mobility and function of your shoulder(s), you must train it how to properly stabilize in its postural, closed-chain function. A chronically tight shoulder is the brain’s compensation for stabilizing an unstable joint. Simply yanking and stretching the crap out of that shoulder for “mobility” does not translate to improving your ability to control that new range of motion in function. You’ve likely just taken away your body’s attempt to stabilize, thus increasing your risk for injury…or, it will just go back to being tight again! The same goes for the hip. It’s much more effective to focus training hip mobility as a stance leg, in its postural function (i.e. single-leg deadlift), than as the swing leg (i.e. leg whips). To paraphrase a mentor of mine, Dr. Robert Lardner, it would be illogical to expect to be able to play well with a band in concert when you’ve only practiced as a soloist. In relation to the human body, this is bodybuilding principles – training muscles in isolation. Don’t get me wrong here, bodybuilding principles are entirely kosher if your goal is to get chiseled like the statue of a Greek god. However, the majority of the general population follows these principles with goal of being healthy and in-shape. Curls are truly for the girls (or guys), not function. Simply working your bicep muscle does not translate to any postural or reaching/grasping function, only aesthetics. We move in two distinct patterns: ipsilateral (same side) & contralateral (opposite arm/leg). The golf swing is an ipsilateral pattern whereas running is contralateral. If you properly train the pattern ­­– the chain(s) of muscles working together in concert – it will automatically integrate into your specific movement patterns for sport. When you upload good software into the brain, it will use that program to control the hardware (body). Your gnostic function is essentially your level of sensibility: susceptibility of feeling; ability to feel or perceive. Assessing someone’s gnostic function helps you determine one’s level of body awareness. The greater your gnostic function, the greater your ability to improve and maximize performance. Thus, this is a great way to measure potential; the individual’s current skill level at their sport would not. The immediate takeaway I got from this is that you should never train with headphones; this distraction distorts your gnostic function and ability to receive and translate necessary input required for learning. What are your goals? If your goal is to get swole, then just hop on the machine that highlights in red the muscle you want to swell. If your goal is to improve performance (e.g. knock the white off the golf ball) while reducing risk for injury, then you should train or “strengthen” movements, not muscles, because the brain speaks in terms of movements, not individual muscles. If you have back pain, I can guarantee you it’s not because your back muscles are weak and need of “strengthening.” In actuality, the back muscles are likely being overemphasized – inducing excessive load to the spine. There is lack of co-activation or balance of the core. The DNS approach addresses WHY you may be suffering from physical limitations causing pain, the inability to get the club face square, or lack of power; ultimately, impacting your performance. If you would like more information about DNS check out, http://www.rehabps.com. At OmniKinetics we are principled in training movements and patterns, not muscles. We believe this is the most effective, natural and truly functional way to optimize the body for human performance in any sport, not just golf. 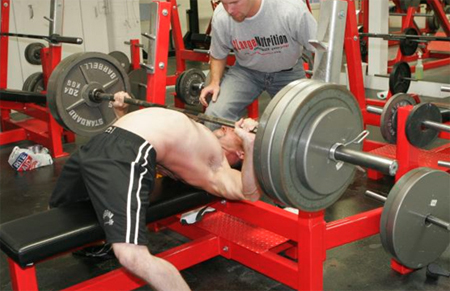 Book your appointment today to utilize DNS, helping you go from pain to performance. Like this post? Have a question? Would like to share a contrary opinion? Leave us a line below! In honor of one Lydia Ko winning the Evian Championship and becoming the youngest to win an LPGA Major, OmniKinetics is rerunning our very first blog entry. I hope you enjoy and please check back on a regular basis as we will be posting new content regularly. “In this day and age, where women are now the CEO’s of billion dollar corporations and have been invited to become a member of Augusta National Golf Club, the time may have come to play golf and swing like a girl. Even you men out there lets be honest, who wouldn’t want to have a driving average off the tee measuring anywhere north of 270 yards like Brittnay Lincicome or Lexi Thompson? And when someone asks you “what do you have in the bag”, wouldn’t it be nice to reply, “I play tour spected, stiff shafted, Titleist AP 2 irons and Pro V1’s”, because your club head speed required them? That’s what Lydia Koh would say and she is only 15 years old. Not to mention that she was only 14 years old when she played in the Canadian Open at Royal Mayfair from 6,500 yards and shot a -13 under (275) to win. The time has come where it may be more self-serving, to turn a blind eye from the likes of a 350 yard, driver off the deck, into a 600 yard, Par 5 “Bubba Strong” golf stroke and start to swing like a girl. The question to ask your self is “How do I get there?” The simple, yet only honest answer I can give you is, “it depends.” The needs for each person can drastically differ. In my opinion, there are three essential factors to address to play at the level that most of us say we want to play at. Their order of importance is variable, but if any one factor is neglected, your ceiling of potential is set lower and you may never know if that could have been your key to playing good golf. First, you need to find a golf coach. By golf coach, I don’t mean you partake in a 60 minute session, once a month where you are over analyzed and suffer paralysis by analysis. No good ever comes of that. As Will Ellender of the Fox Hills Learning Center likes to say, “You came to me for a LESSon. If I gave you any more, I’d be a MOREon.” Finding a coach who can formulate a clearly defined plan is essential. Now I’m not saying you need to have 3 lessons a week for a year to reach your goals, but you do need a plan. Many of us don’t truly realize what we need to do to be successful and often our perceptions do not align with our actions. A good coach will also put you in tune with the elements that are essential to play good golf outside of just the swing itself. The second thing everyone can greatly benefit from is to making sure your equipment fits you. Your golf coach or a certified club fitter can very quickly make sure the flex and length of the shafts are ideal for your swing characteristics and the type of ball you are playing is appropriate. The other day at Fox Hills Learning Center during the Taylor Made Demo Day, I watched one of Jordan Young’s talented high school girls (on her way to play in college) get fitted in to clubs that had men’s shafts. The biggest reason for this is that her swing characters required it. With the strength, power and swing speed that is only getting more efficient, she needed to use clubs best fit for her…. and Mrs. Havercamp’s would no longer do. Lastly, from the physical perspective, we need to know how you move and more importantly why you move the way you do. Just as many golfers will slice or hook, and on occasion may hit a shot fat or thin, they do so for a variety of reasons. The physical swing characteristics we display are the same. You may sway off the ball, lose your posture or early extend as compensation during your golf swing due to several factors. These same factors could be what may have caused the shoulder issue that ended your season last fall or led to the low back pain that has delayed your start this year. There is often a direct correlation between the injuries and pain we experience, and the swing characteristics we battle at the range or on the course. This is where physical screening and assessments are imperative to help identify your dysfunctions and movement blueprint. Not even super high speed cameras at 1000 frames/second or the surgical precision of Johnny Miller’s long winded swing dissertations on Saturday afternoons can tell us why we move the way we do. If we don’t use some type of movement screen, it is just a guess. Much like the fixes we read in our favorite monthly golf magazine, the fitness and therapy industry has offered us generalized solutions for our aches, pains and problems. If it’s tight, stretch it. If it’s weak, strengthen it. If your back hurts do this, that AND the other. While one person’s knee pain is another person’s shoulder impingement, the way those two people compensated around a stiff, but non-painful ankle may have led to two completely different diagnoses. Not to sound redundant, but this is critical… If you don’t screen, it’s just a guess. Men often move very different from women and kids have very different compensation patterns that their parents, although they may all suffer from back pain and the constant aggravation of topping there second shot each hole. If we treat everybody’s problems with the same fixes, it would be like taking a machine gun to the firing range. I am bound to hit the bull’s-eye once in a while, even with my eyes closed. We are proud to announce that we have launched our brand new, modern website! The website contains our company and services information you’d expect with an aim to be a hub providing cutting-edge health, wellness, fitness and performance information. We will adding content to our blog and video library on consistent basis, so check back regularly for up-to-date information to help you achieve your physical goals. Make sure sign-up for our newsletter, located at the bottom of any page of the site (excluding blog page), where you will receive monthly content updates directly to your email inbox. Take advantage of our new booking feature: the ability to book online, directly from the website. There are always growing pains associated with change. If you come across any issues or irregularities while browsing the website, please, let us know so that we can make the necessary improvements. We appreciate the support! As always, feel free to shoot us a call or email with any questions you may have — we’re always here to help! I was so graciously invited to be a treating physician for the, “Arnold Midwest Affiliate Gathering,” (Bascially, Crossfit without being able to use the name) and the, “Weightlifing Championships,” at the 2014 Arnold Classic held in Columbus, OH. Working with CrossFit athletes, more now than ever, it was a no-brainer that I needed to be at this event! However, my wife was 5 days from her due date, so I was lucky it close to us not only in our lovely neighbooring state of Ohio, but in a Michigander sports fan’s favorite city: Columbus. I was honored and humbled to be working with so many like-minded docs from the midwest that are the authority in field of conservative sports therapy and pain management in their respective location. We had a blast treating so many great athletes and competitors as well as enjoying each others company, sharing stories and experiences, at brewery social with some of the athletes, organizers and volunteers. To my surprise, there’s a lot more to the Ahhhhhnold than meat-heads, spray-tans and protein farts (not that there’s anything wrong with that) — multi-sport competitions filled the convention center and fairgrounds. There was everything from gymnastics, fencing, martial arts and ping pong…yes, PING PONG! Nothing says Arnold Shwsdfasdfdfsdfzanegger like table tennis, right? These guys were pretty badass, however. My favorite part of the trip was treating and cheering on team, “Some Assembly Required.” The team was composed of athletes that either lost a limb(s) or were born without full physical capacity, requiring the use of prostetic or device for assitance in some fraction of their everyday lives. They were quite the inspiration and fun to watch perform. The dude to the right has the best attitude and was full of life. Not only does he have a better ollie than I do, but he also dominates on the rig. I thoroughly enjoyed my first Arnold Experience and hope that I did well enough to be invited back next year! OmniKinetic’s Dr. RJ Burr had the pleasure to be invited to CrossFit Fate in Wixom, MI to present and demonstrate a series of movement interventions to target and correct the most common physical dysfunctions found in the overhead squat movement, a foundational Olympic Lifting/CrossFit movement. The workshop was a blend of some educational material, understanding the “why” of what we were doing, and hands-on experience to see and feel what exercise(s)/drill(s) provided the greatest therapeutic benefit. Below is the reference video provided to all attendees to help get an idea of the movements that we played around with. If you or someone else you know is interested in hosting a similar workshop, please, do not hesitate to contact us (click the button at the top-right of the page)! OK spent the weekend offering complementary services at Oakland Hills for their annual Men’s Invitational, “The Piper.” There was a huge turnout and the weather cooperated with four straight days of gorgeous blue skies, fresh cut grass and bird chirpin’! We treated many players before and after their rounds and even got the staff (see pic) to do some end-range loading for their back pain! I tell you what – best bloody bar I have ever seen. There was a meal on those skewers.